It says it is commissioning an independent review into the allegations made as a result of the investigation by internet news site BuzzFeed. The probe alleges its "war on poaching" is causing civilian casualties. 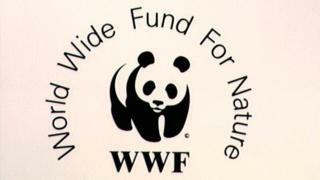 WWF has promised to complete the review as soon as possible. Indigenous people and villagers have been shot, beaten unconscious, sexually assaulted, and whipped by armed guards in parks in places like Nepal and Cameroon, BuzzFeed alleges. The World Wide Fund for Nature (WWF) funds, equips and works with these guards, the report says, accusing some staff of turning a blind eye to abuses. It also links WWF staff to a deal to buy assault rifles in the Central African Republic in 2009, against its own policies. It further alleges that WWF acted as a kind of "global spymaster", funding networks of informants to provide park officials with intelligence, despite publicly denying it did so. BuzzFeed said it carried out a year-long investigation in six countries, based on more than 100 interviews and thousands of pages of documents, including confidential memos, internal budgets, and emails discussing weapons purchases. WWF, who says it has hired an international law firm to carry out the review, said human rights were at the core of its mission. "At the heart of WWF's work are places and the people who live in them. Respect for human rights is at the core of our mission. "We take any allegation seriously and are commissioning an independent review to look into the cases raised in the story. We have asked BuzzFeed to share all evidence it has obtained to support these claims, to help inform and strengthen this review. "WWF's work relies on deep community support, engagement and inclusion. We have stringent policies designed to ensure both we and our partners are safeguarding the rights and well-being of indigenous people and local communities in the places we work. "Any breach of these policies is unacceptable to us and, should the review uncover any, we are committed to taking swift action."